We have two designs for table tents, and you can choose from 7 colors and 5 calls to action. Table tents are available for purchase. 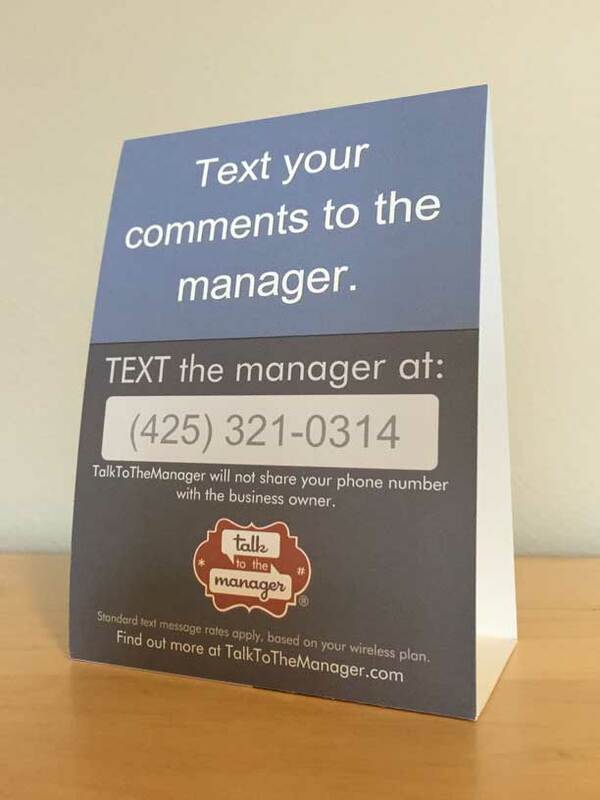 We offer professionally printed, high quality table tents with your TalkToTheManager phone number printed on each. We offer a selection of colors, styles and various messages that encourage customers to send their feedback. This is a custom print job, and starts at $75 (plus tax and shipping) for 25 table tents. "Text your comments to the manager." "Your feedback is important to us." 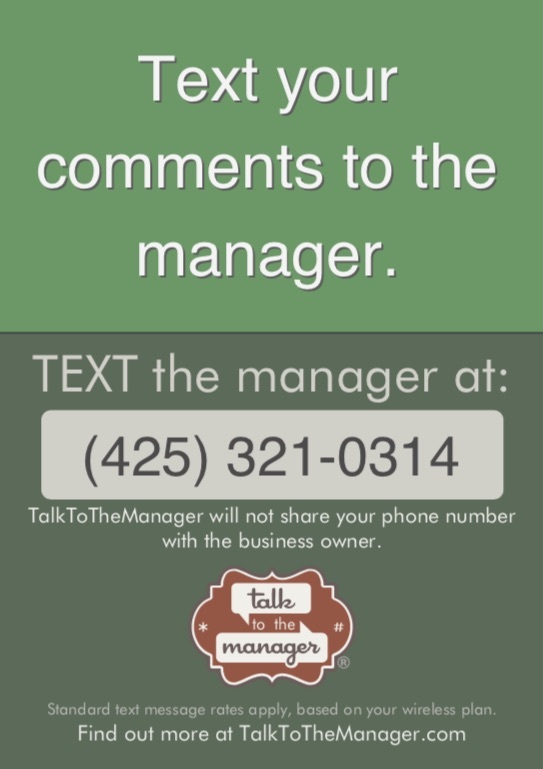 "Text us your comments, questions, & suggestions." 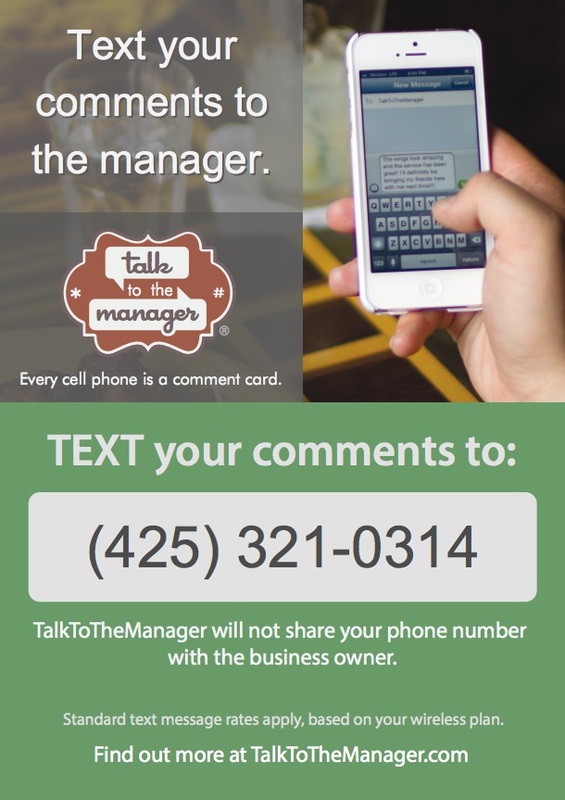 These PDFs have your TalkToTheManager phone number on them already! Just print at home, the office, or at your local Kinko's or professional print shop. Same colors and styles as above, but are PDFs and free to download. Color and call to action options are the same as above. For the expert looking to customize, these PDF templates are ready to be filled in on your computer using special software. Same colors as above.